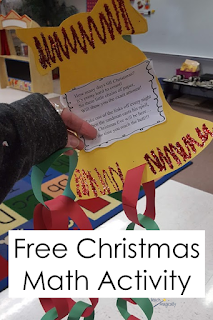 Warning-Christmas Math Activity Links take TIME! This takes some extra time for kindergarten students. One teacher told me it took from 8:30-10:30. I did it in 2 days because my time was limited but only 3 needed to finish. You could always do this any time in December. 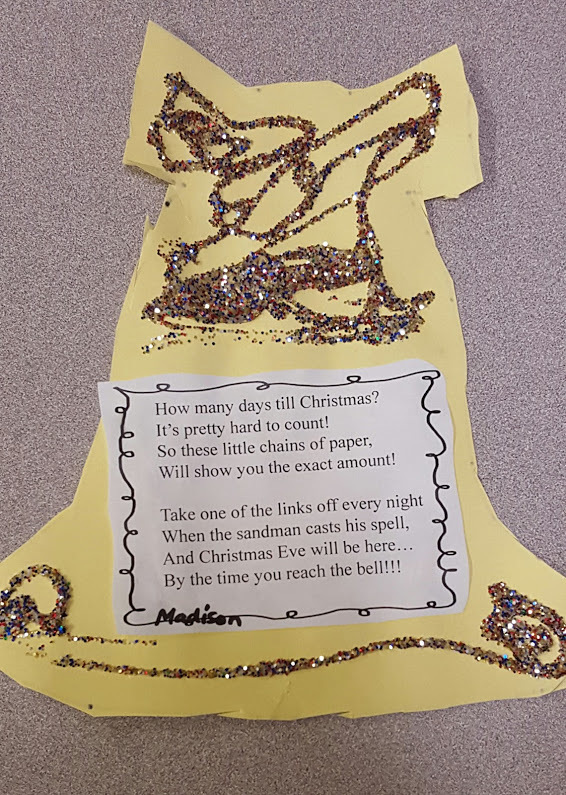 Use the calendar to figure out the total number of chains needed and then create a pattern to get to Christmas Eve. It would be a great STEAM activity! I always trace the bell on yellow paper, but when I did this with 3rd and 4th grade students, they did the tracing. Don't forget to glitter! It makes is so much more fun! I use the poem in guided or shared reading. 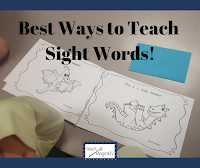 It is difficult for some kindergarten students to read so they need to point to each word as I read it the first time. Then on the following days of the month, I have a small copy for each student to "read" with me. 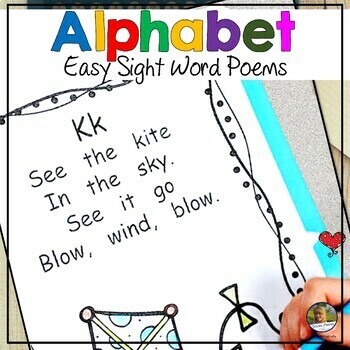 The students get to search for words in the poem and explain to the group "how" they know that word. We then discuss about "the sandman casting his spell" and what it means. 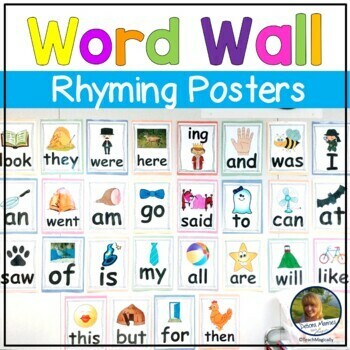 We also talk about rhyming words. Don't forget to create one for the classroom and discuss other things the students do to get ready for Christmas. 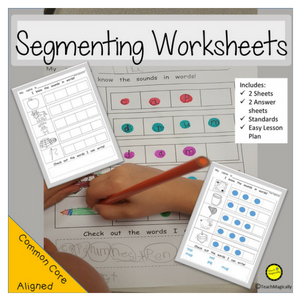 Great oral language activity and build text to self comprehension. 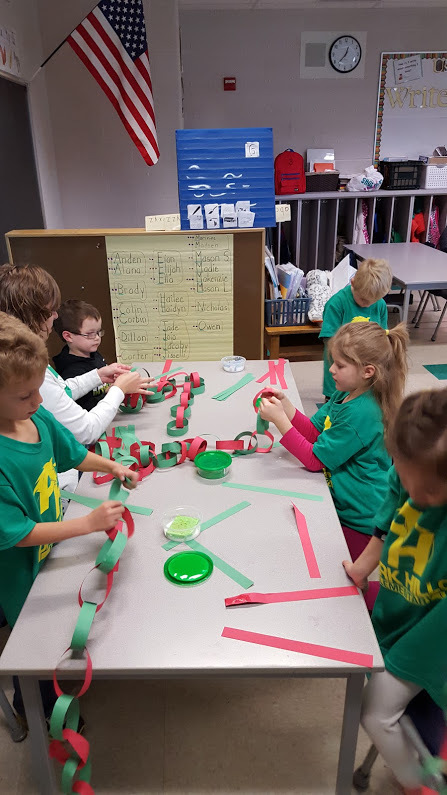 You can check out Christmas Wreaths for some other fine motor work!